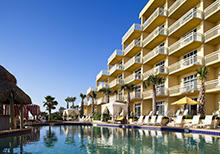 Join us for lots of Waterpark fun located right here in Daytona Beach. Yes, Daytona has a great Waterpark and we have your ticket to an extended stay option to visit the park for as long as you stay with us. Slide into the action or just float around the lazy river. 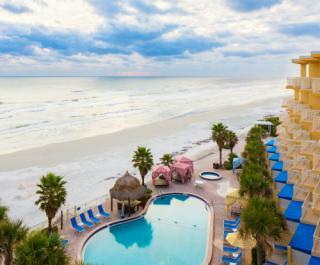 The Beach and Waterpark all in one is sure to please the entire family. 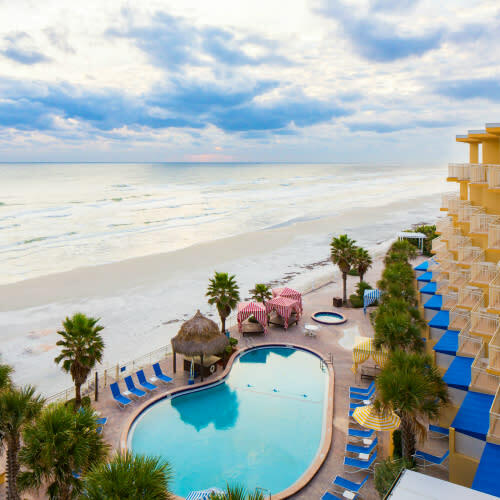 Package includes: Overnight accommodations for up to two adults and two children 4 extended stay passes to Daytona Lagoon Waterpark. Entry to the park each day of your stay Discount on additional one-day Waterpark passes for friends and family Two-night minimum stay required. In the event of rain out a resort credit will be given in the amount of $30. Based on availability. Restrictions apply. Does not include transportation to/from the Waterpark or parking. Waterpark Schedule and hours Click Here. No cash value on tickets and unused tickets are non-refundable.